Ann Arbor, MI Bankruptcy Attorney – Proud Alumnus! We love Ann Arbor! “Tree Town”, a name well deserved and based on the over 100,000 trees that populate Ann Arbor’s parks and residential areas. It is a truly beautiful Michigan city. Ann Arbor is home to the University of Michigan, Nichols Arboretum, Mattrhaei Botanical Gardens, University Hospitals and so much more. It has wonderful restaurants and beautiful architecture in both homes and buildings. We love just driving around looking at all the beauty. Ann Arbor is a city well loved by its residents and visitors (except for those pesky Spartans). If you go to downtown Ann Arbor make sure and visit Kerrytown, and both Main Street and South Street Business Districts. You will find great eats and fun mom and pop stores to browse through and find treasures at. GO BLUE! 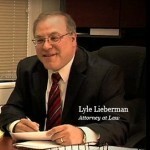 Our Michigan bankruptcy attorney, Lyle Lieberman, is a proud alumnus of the University of Michigan. He always takes us for tours of Ann Arbor to visit his old haunts 🙂 His office holds a nice assortment of University of Michigan memorabilia. Even though we are located in Southfield, Michigan, close to I696, we are well worth the drive from Ann Arbor for your free Chapter 7 or 13 bankruptcy consultation. Not only does bankruptcy lawyer Lyle Lieberman have over 24 years experience in bankruptcy law, we pride ourselves on our warm, friendly office. Bankruptcy can be disheartening and demoralizing, we strive to make this unpleasant time in your life as painless as possible. Come, enjoy some coffee and cookies and get all your questions answered. We are here to help!